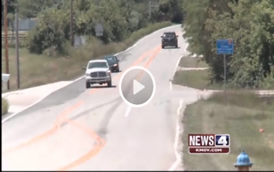 Shoulders fOr Safety is a group of concerned citizens who are insisting on shoulders for our roads in the Defiance/New Melle area in St. Charles County, Missouri. (specifically Hwy D, Hwy DD, Hwy Z, Hwy F, Hwy N and Hwy 94). Shoulder improvements to Highways N, D, DD, Z and 94 are nearly complete. Phase II construction is planned for the near future. SOS would like to thank the many people who helped make these projects a success; however, the efforts of one individual come to mind and that person is our County Executive, Steve Ehlmann. The efforts of Steve Ehlmann will save hundreds of lives, perhaps someone you know. SOS supports the re-election of Steve Ehlmann for the position of St. Charles County Executive. Proposition "R", on the ballot August 7th, re-authorizes the 1/2 cent transportation sales tax (it's not a tax increase). 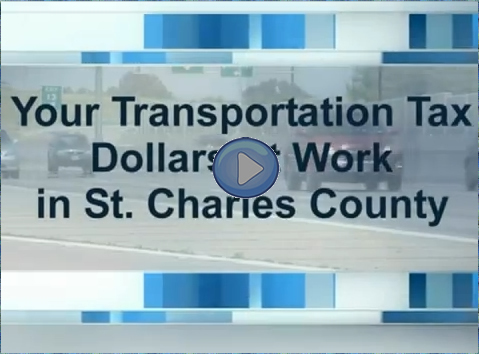 A St Charles County grant (funded through this tax) was the key item in obtaining funding and prioritizing shoulders on Highway 94, D, DD and repaving of Highway F. Please visit YES-ON-R.com. The Ribbon Cutting Ceremony for the Highway 94, D and DD road improvements was held on December 9th: Boone Country Connection Article. Please "Like" our Facebook Page for Shoulders fOr Safety Phase II for the Highway N safety efforts. Also see the St Louis Post Dispatch article. We'll be concentrating on road improvements to Highway's DD (south of D), F, Z and N.
ST. LOUIS - The Missouri Department of Transportation and its contractor, Pace Construction Inc., will close sections of Route D in St. Charles County for widening work starting August 22, weather permitting. The work will widen Route D and add shoulders between Route 94 and Route DD. Crews will close Route D between the Busch Wildlife main entrance and Wildlife Lane starting August 22. Drivers can use Route DD, I-64 and Route 94 to detour around the closure. To get to the Busch Wildlife shooting range during this closure, take Route 94 to Route DD and make a right. Travel on DD and turn right onto Route D. Follow Route D to the range. Work on this section will be complete by August 26. Crews will close Route D between Route 94 and the Busch Wildlife main entrance starting August 29. Drivers can use Route 94, I-64 and Route DD to detour around the closure. To get to the Busch Wildlife main entrance during this closure, visitors can take the Route DD exit off I-64 and travel south to Route D, then make a left on D to reach the entrance. Work on this section will be complete by noon September 2. Shoulder construction is progressing on Highway 94, Highway DD and construction will begin very soon on Highway D. After spending many hours working with our representatives, attending meetings in Jefferson City, St Charles, St. Louis and many meetings with MODOT, it's a gratifying feeling to see shoulders under construction. Great News!! 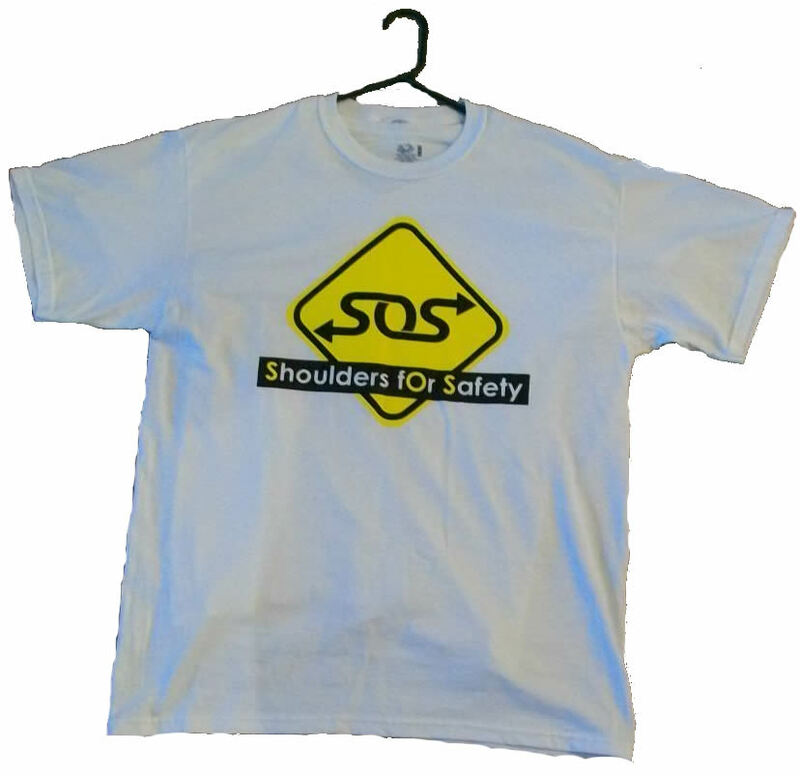 Shoulders fOr Safety presented at the Missouri Highway and Transportation Commission Meeting on December 1st. SOS member Sherry Cybularz delivered the SOS presentation. MODOT Director Kevin Keith announced the bids for shoulders for Highway 94 (to Defiance), Highway D (from 94 to Highway DD) and Highway DD (from Frontier Middle School to Highway D) came in lower than expected. Director Keith said there are now enough funds available to add shoulders to all of Highway DD, from Frontier Middle School all the way to Highway 94 !!! Construction is to start in spring of 2011 and to be completed by fall of 2011. SOS requested the Missouri Highway and Transportation Commission designate recently released federal funds (federal funds specified for rural roads in Missouri) be used to build shoulders on Highway D all the way past New Melle. In a press conference held on June 1st, 2010, in a joint announcement, it was announced that an agreement was reached, funding has been located and construction of shoulders in the SOS area would begin in the spring of 2011. News Flash - St Charles Co Matching Grant! Shoulders for Safety would like to compile a list of testimonials from people who have had an accident, witnessed an accident or had a near miss on our roads (Hwys D, DD, 94, F & Z). We will be including these testimonials in a packet that we will be handing out to board members at the various State and County meetings we will be attending. 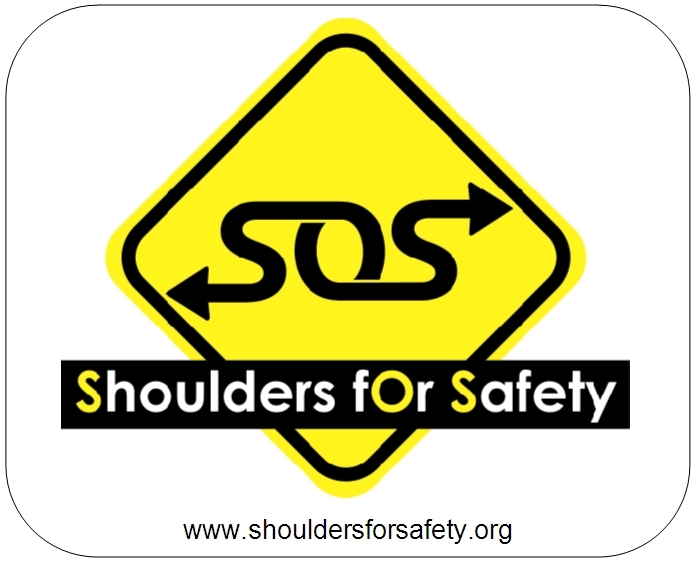 If you would like to share your story, you can post it on our facebook page or email it to us at: shouldersforsafety@yahoo.com. Please include your name, the city you live in and the location of the accident. Thank you for your help. SOS / Shoulders fOr Safety is a grassroots community effort to increase road safety and reduce the number of senseless fatalities on highways near the Missouri communities of Defiance and New Melle. Call, email and write your county, state and federal representatives. Their phone numbers, email and addresses are provided below. Let them know if they can't provide safe roads for our community, then we'll elect people who can. As of November 1st for the highway deaths in St. Charles County in 2009, 43% of those were on highways in the SOS area. We have 8% of the population and 43% of the fatal accidents. What's 2 feet of Shoulder Worth?